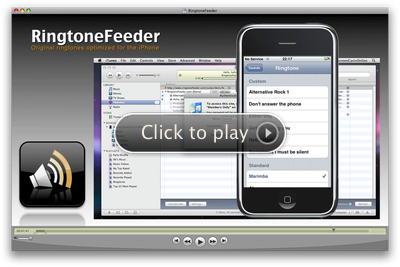 Visit RingtoneFeeder.com from your smartphone and we will automatically redirect you to iTunes or Google Play. What happened to the subscription service? To make RingtoneFeeder as smooth an experience as possible we have put together a few videos that will walk you trough the basics of the service as well as the process of getting the ringtones downloaded, creating a Smart Playlist in iTunes and finally sync the ringtones to the iPhone. It couldn't be easier to make sure your iPhone is fully equipped with great-sounding ringtones. As soon as you buy Iphone 4, or any of the other iPhone models, you are likely to want to start using your new phone. These tutorials will help you sync your chosen ringtones as quickly as possible. There are a number of options when it comes to using RingtoneFeeder which can help you to make the most of your investment. Make sure you are using the full range of features by watching these easy-to-follow tutorials. You can even download each video to watch offline when you're not connected to the internet. © 2008-2016 RingtoneFeeder. All rights reserved.